Editor’s note: Arachnophonia is a regular feature on our blog where members of the UR community can share their thoughts about items in the Parsons Music Library‘s collection. All links included in these posts will take you to either the library catalog record for the item in question or to additional relevant information from around the web. 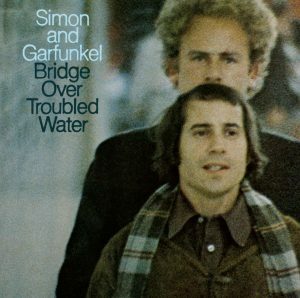 Today’s installment of Arachnophonia is by Music Library student worker Colin (class of 2021) and features Bridge Over Troubled Water a classic Simon & Garfunkel album first released in January 1970. Thanks, Colin! Bridge Over Troubled Water is Simon & Garfunkel’s fifth and final studio album and widely regarded as their best work. Bridge Over Troubled Water hit number 1 on the Billboard 200 in March 1970 and remained there for 10 weeks, sold over 8 million records in the United States, and also earned a Grammy award for Album of the Year in 1971. Bridge Over Troubled Water is described as the duo’s “‘most effortless album and their most ambitious.’” The album is an eclectic mix of multiple genres, such as rock, jazz, R&B, and gospel, which formed a unique “individual” sound that was met with both acclaim and criticism. 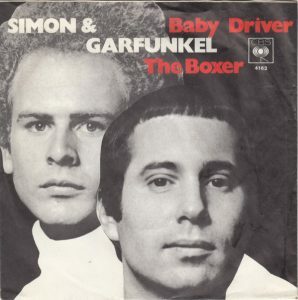 Riding the enormous success of their previous album, Bookends, Simon & Garfunkel established themselves as one of the greatest rock duos in the world at the time, before splitting up shortly after the album’s release. The album has two notable songs that I particularly like and recommend. “The Boxer” is a folk rock selection, and is a narrative, first-person lament that outlines the character of a boxer. The song describes the singer’s struggle to overcome poverty and loneliness, before crafting the boxer character as a metaphor for his life, exhibited in the lyrics “I am leaving, I am leaving, but the fighter still remains.” “The Boxer” was popularized in the instrumental world due to Drum Corps International’s premier corps, the Bluecoats, and their 2008 production entitled “The Knockout,” in which the corps plays and sings excerpts of “The Boxer.” The Bluecoats’s interpretation of the song is widely recognized as one of the most popular segments of any DCI show in history, and is frequently performed by the corps while they tour over the summer. 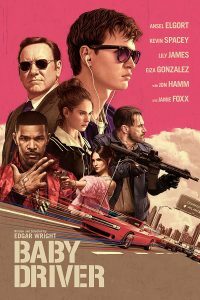 The second song I recommend is entitled “Baby Driver.” This song played no part in the naming of 2017’s hit movie Baby Driver, but it was featured in the film. The song features an upbeat, rock vibe that sounds quite similar to The Beach Boys, and “Baby Driver” is sure to stick in your head hours after listening to it. This entry was posted in Arachnophonia, Collection, guest post and tagged 1970s, album, Arachnophonia, Art Garfunkel. pop, Bridge Over Troubled Water, folk rock, Paul Simon, popular music, Simon & Garfunkel, student workers, students by marmstr3. Bookmark the permalink. 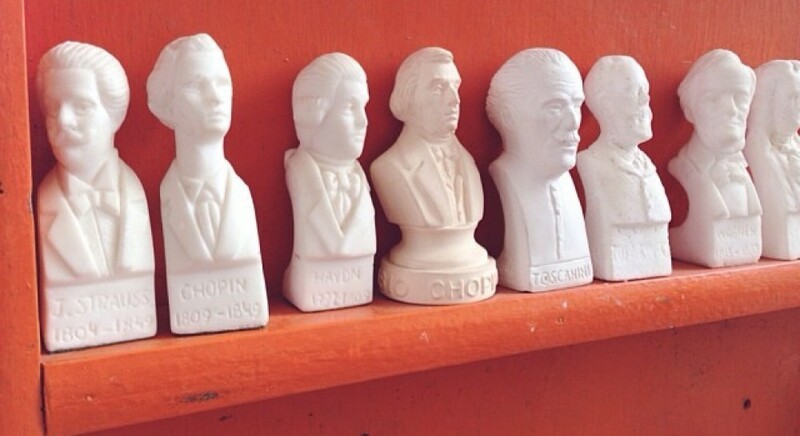 Image titled "Nice busts" by Meaghan O'Malley. Cropped original for use as header image.